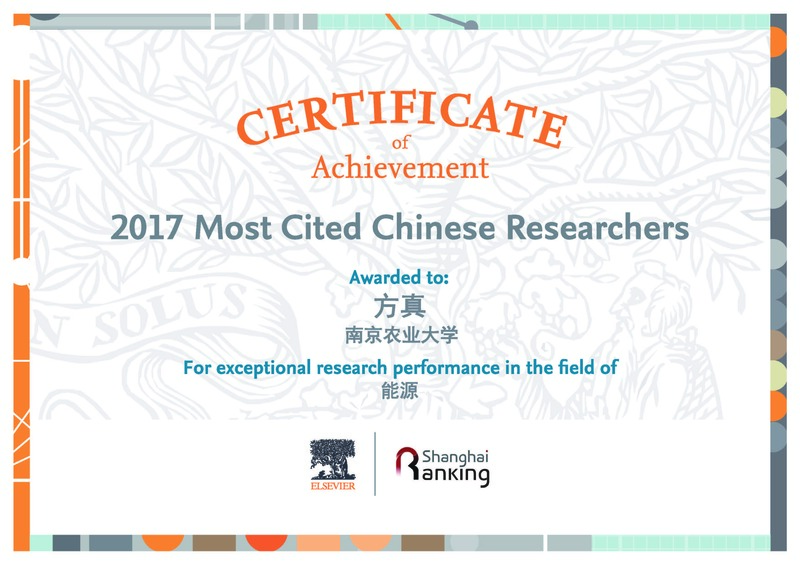 Prof. Zhen Fang Won “2017 Most Cited Chinese Researchers” in Energy by Elsevier, He also won the award in 2014, 2015 and 2016 [China ranks the first in total citation and citation of the influential research papers (Top10％) in engineering, 2013-2015]. 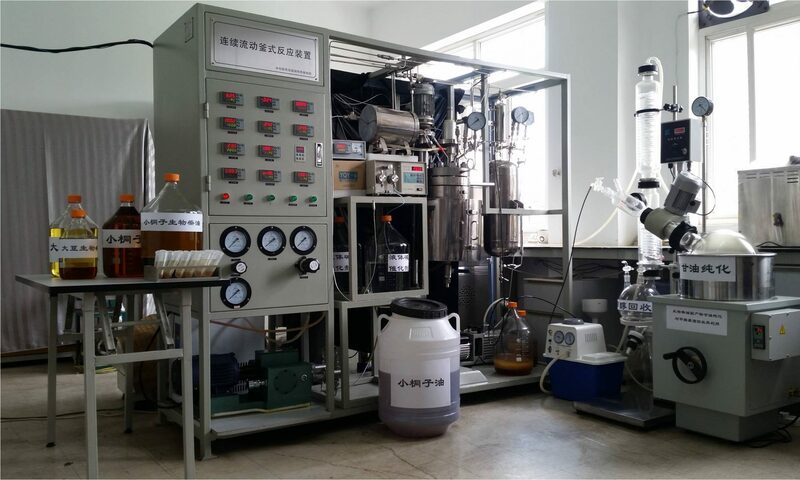 Recently, Mr. Chang-hui Zhu (a PhD student from Guangzhou Institute of Energy Conversion, Chinese Academy of Sciences) supervised by Prof. Zhen FANG synthesized biochar via ionothermal carbonization and pyrolysis, and it was subsequent used to adsorb free cellulase physically for enzymatic hydrolysis. 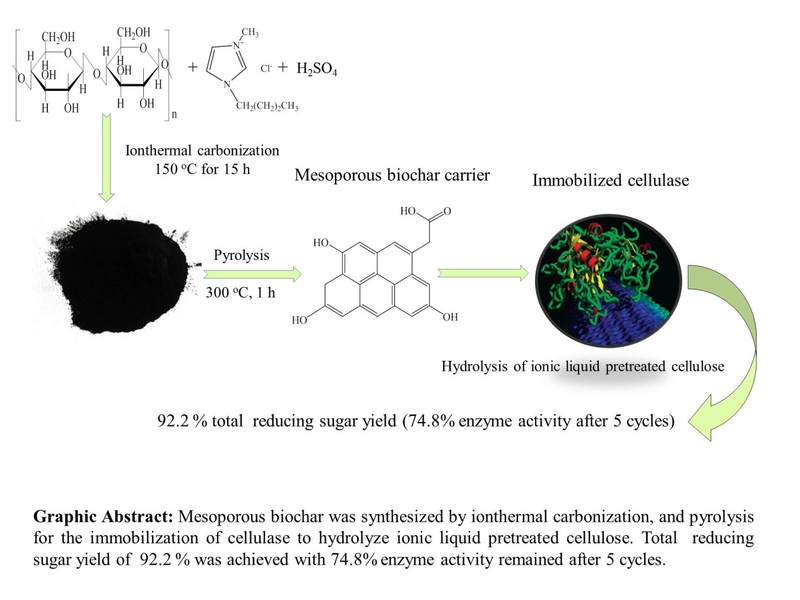 In order to recover free cellulase, a mesoporous biochar was synthesized from cellulose by ionic thermal and pyrolysis methods for the adsorption of free cellulase. Kinetics analysis showed that the affinity of the immobilized cellulase to carboxymethyl cellulose was better than that of free cellulase. The immobilized cellulase at different pH and temperatures was more stable than those of free cellulase. It was used to hydrolyze pretreated cellulose with [Bmim]Cl with total reducing sugar yield of 99.9%. The immobilized cellulase activity can still retain 74.8% after 5 cycles. Lastly, the immobilized cellulase can improve sugar production from the pretreated corncob for potential practical applications. Results were published in Cellulose: Chang-hui Zhu, Zhen Fang*, Tong-chao Su, and Qi-ying Liu, Cellulase Immobilized on Mesoporous Biochar Synthesized by Ionthermal Carbonization of Cellulose, Cellulose, 25(4), 2473-2485 (2018). 结果发表在Cellulose: Chang-hui Zhu, Zhen Fang*, Tong-chao Su, and Qi-ying Liu, Cellulase Immobilized on Mesoporous Biochar Synthesized by Ionthermal Carbonization of Cellulose, Cellulose 25(4), 2473-2485 (2018).